New Smash Hit “The Future Is Yours” feat. Ben Westbeech hits top 5 in German club charts (DCC). The Dutch producer trio K&S have made a global impact with their full live band and dj sets over the years. Having toured extensively in the USA, Australia and all across Europe they are a natural fit for almost any small and big festival around the world, be it dance, electronic, jazz, funk or mainstream pop ones: Glastonbury, Detroit EMF, Ultra Music Festival, Bestival, Coachella, Lowlands, Sziget, Exit and Good Vibrations in Australia are only just a few names out of a long list. After Electric Hustle (2011) and Mixed Feelings (2012), the ‘album-a-year’ tradition will again be kept alive with the release of a brand new album in 2013, with a first album-related single around March. In the mean time a fresh dancefloor EP – Hit The Club – will be dropped this January on Dutch house master Sander Kleinenberg’s label THIS IS. 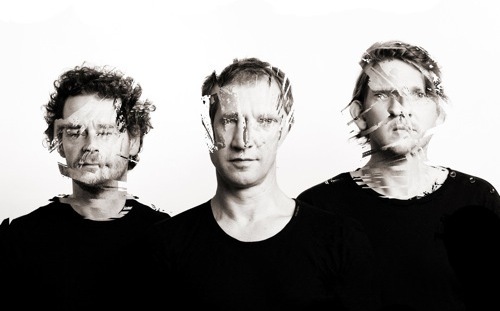 Besides the international pop and dance chart succes of ‘Squeeze Me’ in 2008, Kraak & Smaak have had a recent string of Beatport chart successes with the tracks Runnin’, Let’s Go back feat. Romanthony and Hold Back Love feat. Lex Empress, with the impact of the latter two songs enhanced even further by the widely acclaimed, played and compiled Solomun and Lovebirds remixes. K&S are confident however that they will be able to impress fans all around the world in 2013 yet again, with the new material ahead and their always solid live show and dj sets.